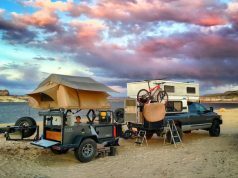 Home ATV Gear How to select a music system for your off road vehicle ? For an outdoor enthusiast, weekends are special times to unwind. A terrific trail along with favourite music that is all we need for a refreshing ride. 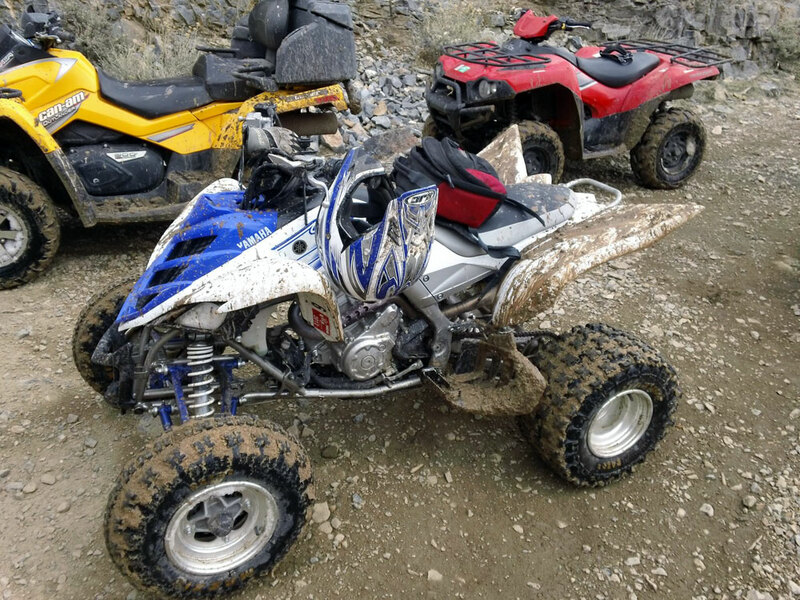 For regular ATV and UTV riders music means a lot and there are different sound system installation kits available to help. We worked with many customers and few vendors to find out all possible music gadget installation in an ATV and UTV. Primarily most of these sound systems are speaker units with different size and makes. Along with sound quality, few important aspects to look for are hard built, waterproof rating, performance in lower frequencies and RMS power. Waterproof Rating – In our experience this is one of the most important aspect of an outdoor sound unit. Except from exposure to moisture, ATV speakers are pretty much exposed to UV ray of sun, heat, mud and extreme weather situations as snow. But all we expect is excellent sound performance every time. A rating measured by IP ( where first digit is indicating robustness against ambient dust particle and second digit against water & moisture ) is generally used as a standard way to differentiate the waterproofing of different outdoor sound system and equipments. In our view, the maximum rating that you can look for is IP67. Where IP6X means maximum protection from solid dust particle and IPX7 means the equipment can handle occasional submersion in water. Performance In Lower Frequencies – Generally in a speaker system you can expect three frequencies ( high, mid and low ). 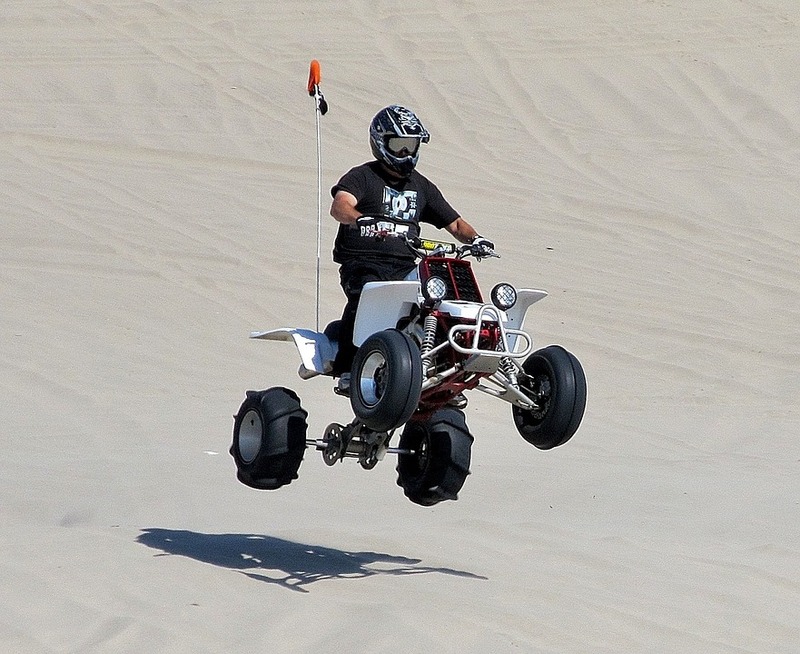 Though all the frequencies are quite important for an optimum performance, many times low frequencies are pretty important to look for in an ATV or UTV ride. Because you can expect better bass in a sound system which produces clear output in lower frequency range. So, there are riders who prefer to go for subwoofers to maximize the bass performance. Needless to say predominantly these subs are marine grade with good waterproof rating. 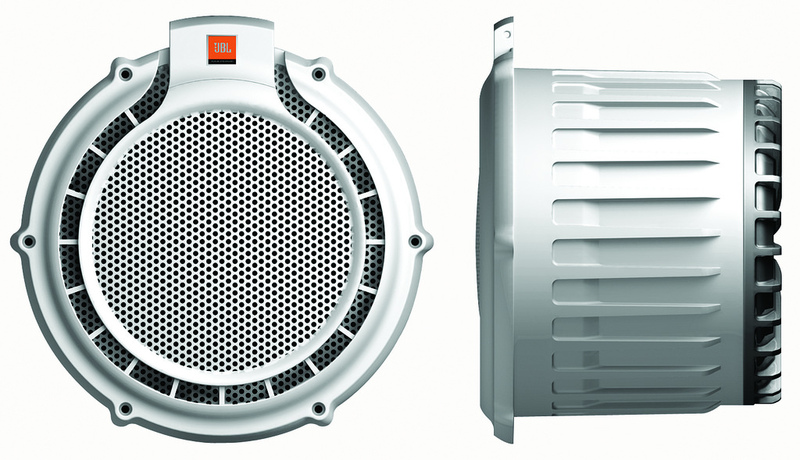 RMS Power – Frankly speaking RMS power is not important for selecting only outdoor audio components. In any audio setup RMS power is pretty important as improper selection of products can run into trouble. RMS stands for Root Mean Square. Essentially this means average power required to run the speaker or a sound system in optimum way. When you are buying a speaker, do check the RMS power and then go back to your amplifier to find what RMS output it is generating. As a thumb rule if you are selecting a speaker system with 75% – 150% of the RMS power of your installed amplifier, then you are good to go. There are manufacturers who advertise the peak power more often but RMS power is the important criteria to look for when you buy the product. Peak power is important for occasional kick or burst of loud bass but RMS should be more deciding factor for you. Speaker – Speaker and speaker pods are one of the most widely used options in ATV and UTVs. 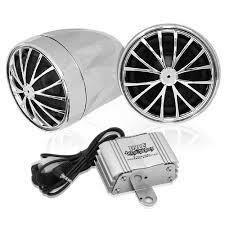 These products are primarily known as ATV speakers. 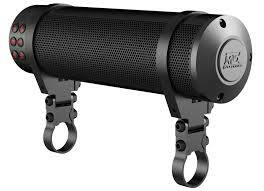 Generally a pair of speaker or more is attached in the ATV front handle section for booming music. Few models come with amplifiers. In these amplifier integrated setup the advantage is – end output is more predictable as the product is compatible and already tested as working setup. Most of these UTV speakers come with good mounting options. So no worry on fixing it in your vehicle. Few prominent vendors in this segment are Noam, Pyle, Boss and Rockford. Speaker Tube – Speaker tubes are predominantly used in ATVs and there are good enough reasons to use them. The hollow tube structure helps to pump out enough bass and loud output. There are two ways to install a speaker tube in your ATV. The first option is outright purchase from a manufacturer. The other option is really cool and exciting. You can purchase speakers, tubes, connectors and make a customized audio tube for your off road vehicle. The reason riders some time prefer readymade option is easy mounting and strapping of the readymade ATV speaker tubes. If you prefer strapping then go for nylon straps with velcro tape so that the audio tube does not slip. You can find really good products from – Pyle, Sound Storm, Boss, Planet Audio and Bazooka. 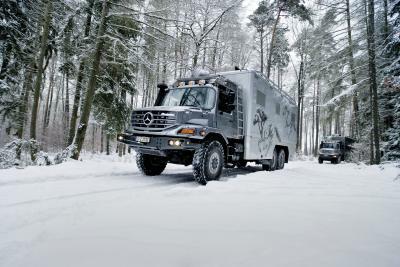 A relatively smaller and cheaper version is designed by FireHouse Technology and they named it “Trail Thumper”. It is quite popular among motorcycle and ATV riders. Cylindrical Handlebar Speaker – Again this is more often used in motorcycles and ATVs. They are kind of omni-directional speaker with 360 degree output. These are relatively cheaper option and come with hard exterior to withstand harsh weather. Few renowned vendors in this segment are – Goldenhawk, Zealot and MTX. Soundbar – I would like to prefer soundbar any day rather than anything else discussed here, if budget is not a constraint. Because these ATV and UTV soundbars have number of tweeters, speakers and subs included to take care of the complete frequency range. They really do justice to outdoor music if you are too particular about sound quality. Solid rugged exterior with high waterproof rating upto IP67 makes them ideal choice for off road adventures. You can consider buying them for SXS, golf carts and even Jeeps if you wish. The best lot of products come from makers like – Wet Sounds, Bazooka, Hifonics and JBL. Passive Soundbar – Passive soundbars are same as active ones except they need external amplification source to run. So, if you want a complementary sound system along with your active soundbar you can consider installing a passive marine grade soundbar in UTV or ATV. We tested and recommend Wet Sounds Stealth 6 V2 as one of the market leader product in this segment. Subwoofer – If you are installing marine grade speakers then you may choose to pair up with a waterproof subwoofer as this will give you much needed quality bass output. These subs generally come with durability against salt water, dust and UV exposure. Though for ATVs generally subwoofers are less installed separately but it has significant use in marine boats, UTVs and open air four wheelers. Dominant OEMs in this segment are – Pyle, Kenwood, Bazooka and Polk. Underseat Subwoofer – This is relatively less used in ATVs. More predominantly used in car and tracks under the seat where space is smaller. Still if you want to choose an underseat sub, then we would recommend you to check the waterproof rating at first. Most of the models in this segment are focused for cars and hence susceptible for open air extreme weather. Pretty popular models are from Kenwood, Rockville, Pioneer and Rockford. Waterproof Speakers – Except all above sound system options, there are riders who want occasional music in ATVs and they are not ready to spend quite a lot of money dedicatedly on ATV / UTV sound systems. I think it is better to purchase either a cheap waterproof speaker or a good waterproof speaker with easy mounting and un-mounting option. So, if it is an easy un-mounting system then you can use it in your living room, golf cart or may be anywhere and occasionally use in your off road vehicle. There are many such options available. We love Fugoo Tough XL in this segment because it has a simple strapping option. You can buy a separate strapping band for Fugoo and use it easily in your ATVs. Helmet Speakers – Helmet speakers are a different breed than all of the above products mentioned. Actually these are not specific to ATVs and more often used by motorcycle riders. But you can use these during your ride in ATVs as well. You can connect your iPods or mobile phone through aux input or bluetooth paring and stream music directly in these in ear speakers. These are cheaper options but come with some risk. We do not recommend these to be used during your ATV rides as direct feeding to your ears might cause concentration loss. 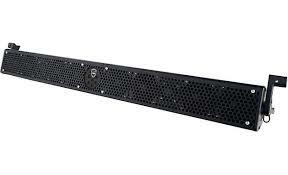 If money is not a constraint then go for soundbar or speaker for ATVs. If you want it to be DIY ( Do it yourself ), then you can check some cool youtube videos and make your own audio tubes to be installed in SXS. For improving bass you might consider adding a pair of subs. If you want to occasionally use the sound system and use it in your home as well then consider buying a portable waterproof speaker with easy strapping options.